On Sunday a new president from an old party was elected in Mexico. Enrique Pena Nieto from The Institutional Revolutionary Party, PRI won the election by around 6%. The PRI had ruled in Mexico for 71 years until 2000. They lost the presidency to Vicente Fox of the National Action Party. The PRI has not held the presidency over the last 12 years. When they lost it was a shock to the country, because they had been in power for so long. Now they’ve won it back, and it’s a new day in Mexico. It remains to be seen whether changes in ruling parties will bring positive change to the country. Enrique Peña Nieto was able to win the election for the PRI in part due to the violence Mexico has endured for the last several years. Many feel that the PRI has a better chance of reducing the drug cartels influence, and their horrific crimes. Other’s fear the PRI because they didn’t have the best track record when they were in power. They abused their power. Many immigrants in the US left Mexico, because of how the PRI ruled the country. There is a strong connection between Mexico and the United States on the border. A San Diego news video comments on the elections and it’s impact on the border. My prayer is that Mexico does make some positive changes, and that it will be a new day for the country. It’s important to remember that God can change the hearts of men and rulers. God is on the throne. He rules over all. Do you feel this new President will be able to make positive change? It’s hard to say. There are some huge needs in the country. His party doesn’t have the best reputation, but maybe since they lost the presidency over the past 12 years it’s taught them some things. I do pray that God will use those in power to bring positive change. Thank you for giving us some insight into this and how we need to pray! God bless you! 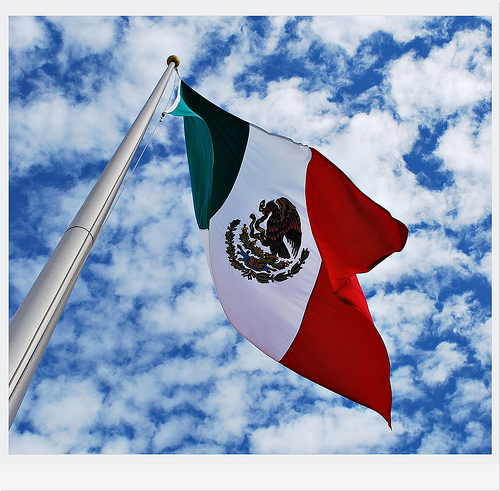 Thank you – I pray the Lord will use the changes in Mexico to have a positive impact on the country! Summer Interns – Energy, Curiosity, Learning & Ministry!